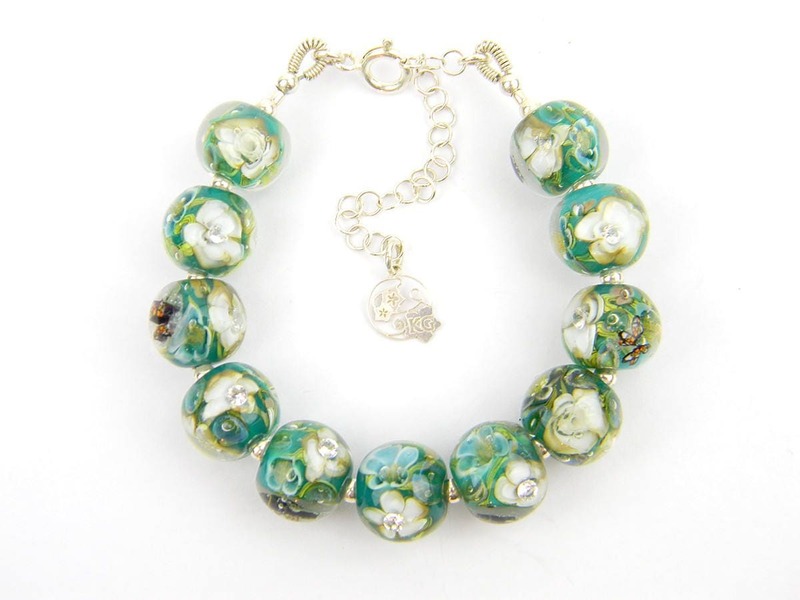 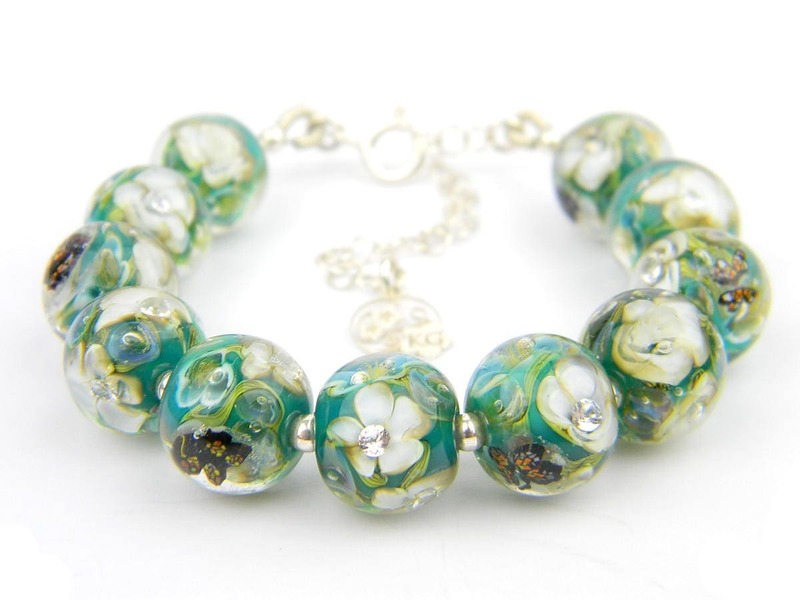 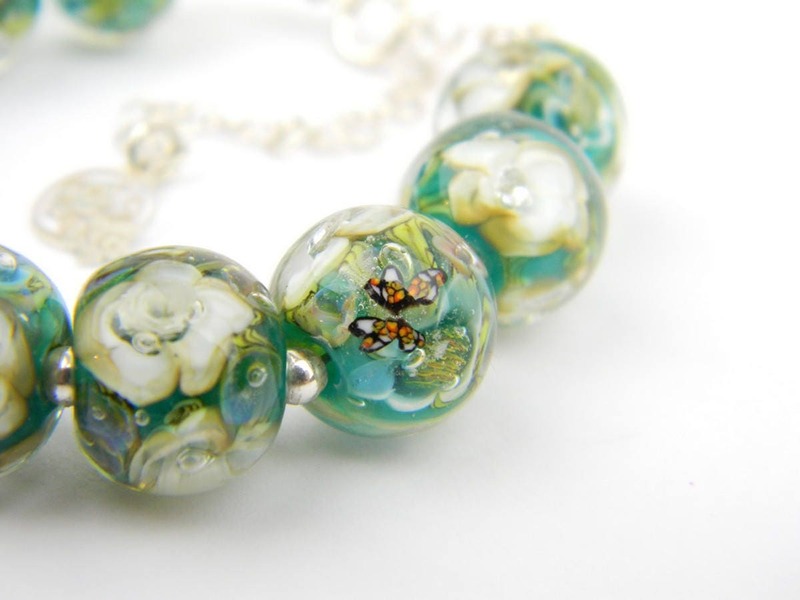 The Rainforest full bracelet is like a cottage garden with a medley of ivory roses, blue forget-me-nots and butterflies. 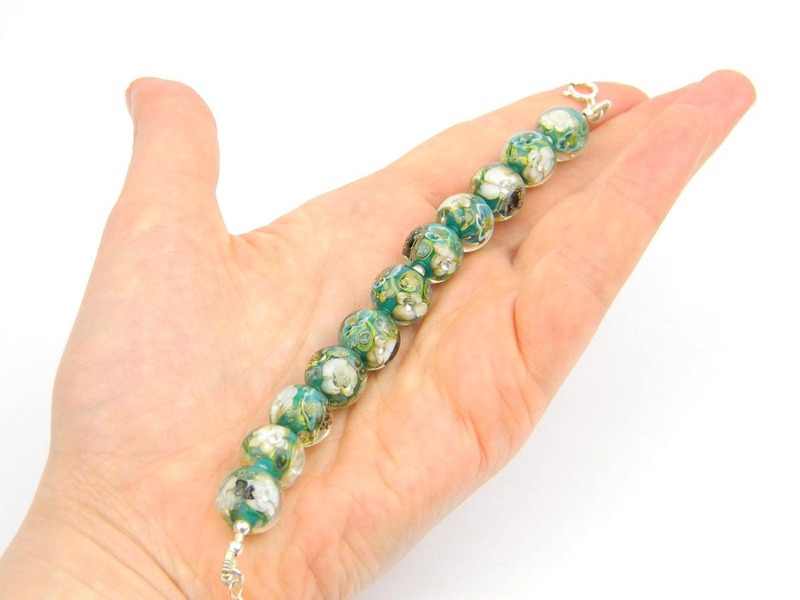 The 11 glass beads hang around 2/3 of your wrist, leaving a little space to set your wrist comfortably on the table when eating or working at your computer. 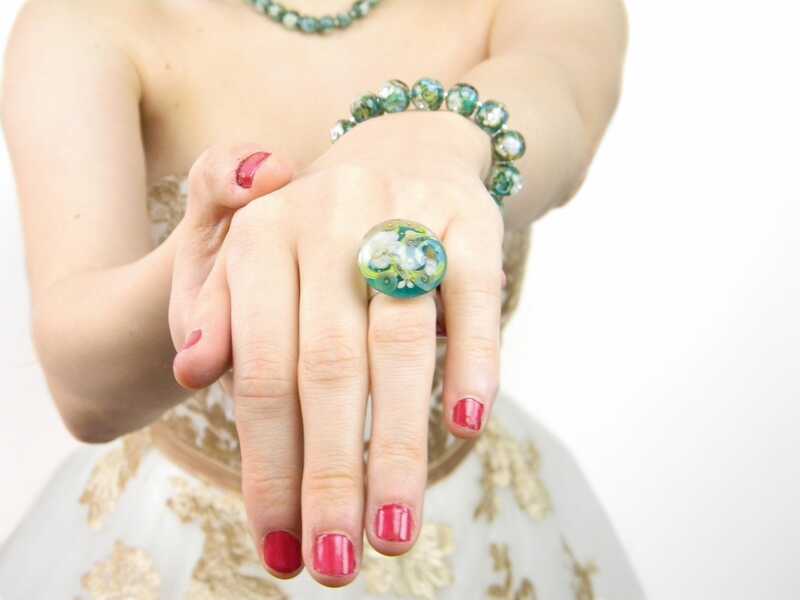 The weight is just right, hardly noticeable but at the same time you feel you are wearing a precious piece of artwork, with unlimited tiny glass details to look at every now and then! 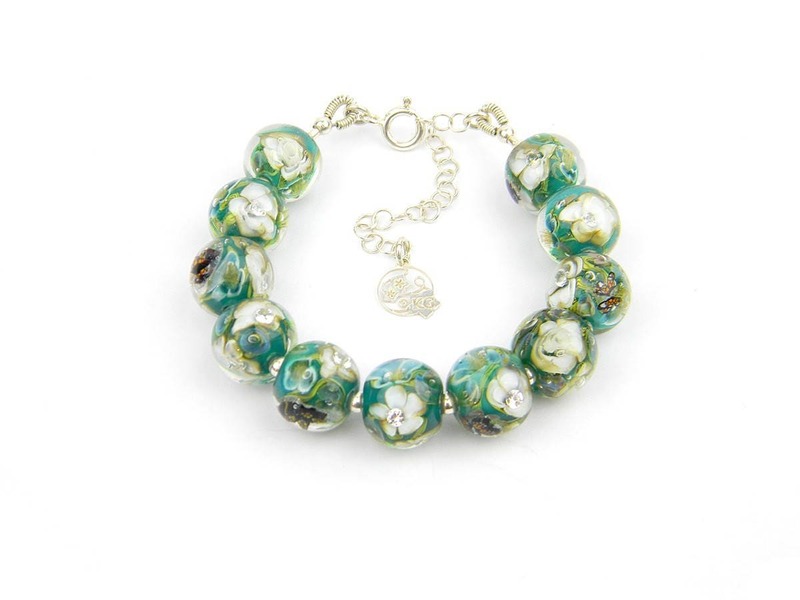 This piece for created for the Glamour Collection, for the ladies out there who are glamorous day and night! 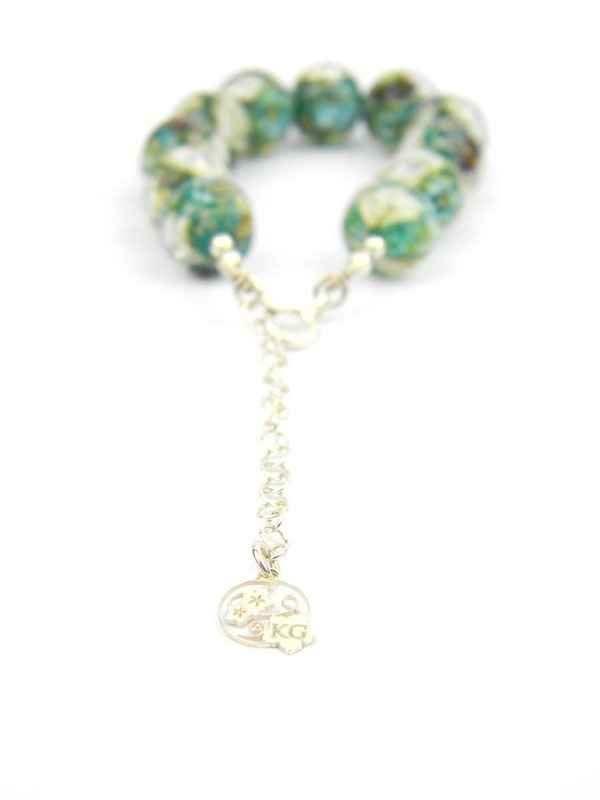 I imagined it as an outstanding working girl, girl boss, kind of bracelet. 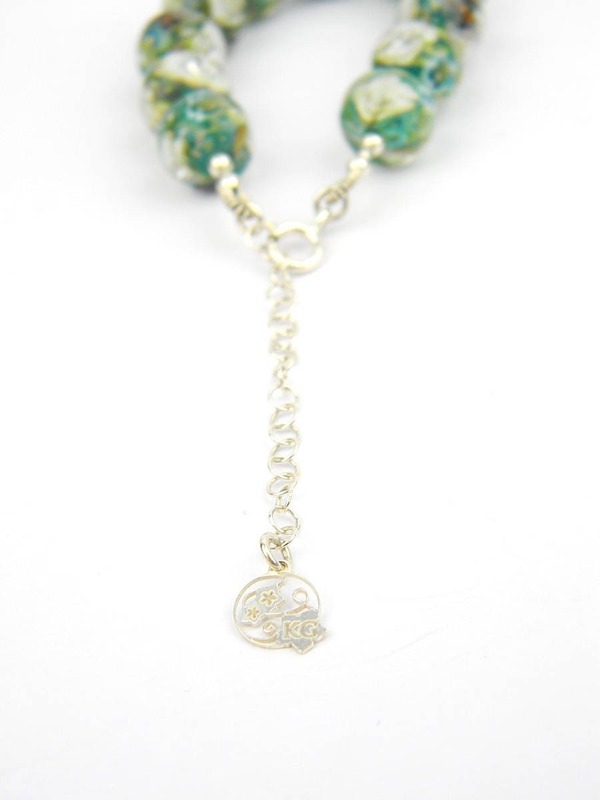 It would be gorgeous with a well-cut simple evening or work dress!